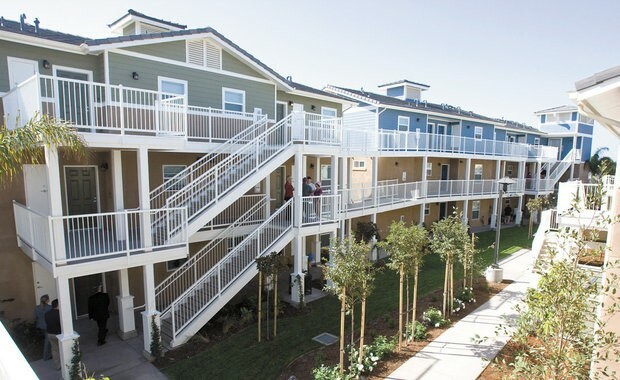 The Courtland Street Apartments is a 36-unit People's Self-Help Housing complex in Arroyo Grande. Peoples’ Self-Help Housing is celebrating its 45th anniversary with an April 23 event in San Luis Obispo honoring those who have helped low-income residents obtain housing. Several success stories will be shared during a luncheon at the Madonna Inn, according to a news release. Peoples’ Self-Help Housing was founded in 1970 in San Luis Obispo and has expanded to Santa Barbara and Ventura counties. The nonprofit organization manages 1,571 rental units and has assisted 1,149 low-income people in constructing their own homes. “Everyone at Peoples’ is driven to provide safe homes for low-income families, veterans, the disabled, seniors, and the formerly homeless in our community, and it’s been a privilege to see these neighbors flourish in our housing,” President/CEO John Fowler said in the release. General admission tickets to the event are $45; sponsorships are also available. The lunch will be held from 11:30 a.m. to 1:30 p.m. at 100 Madonna Road. For more information go to www.pshhc.org or call Rochelle Rose at 699-7227.